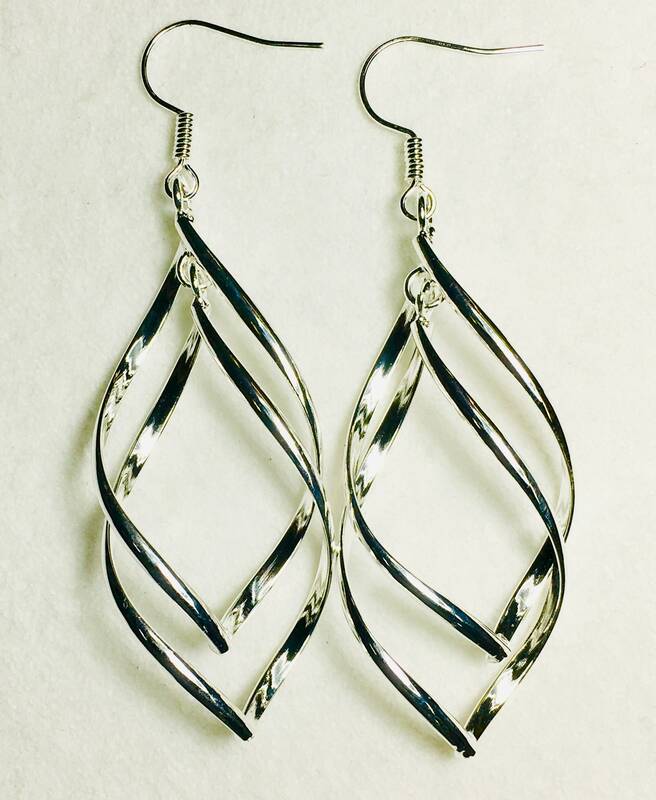 Simple Double Silver Twist. Lots of movement looks awesome! Twist measures 2” x 5/8”. Silver Plated. 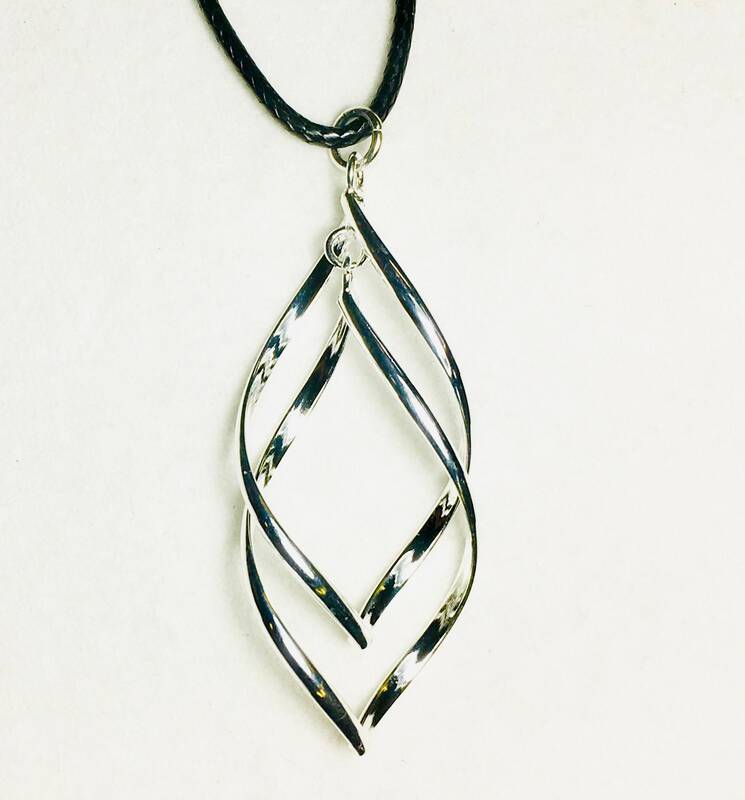 Pendant comes with an 18” adjustable Black cord with lobster clasp. 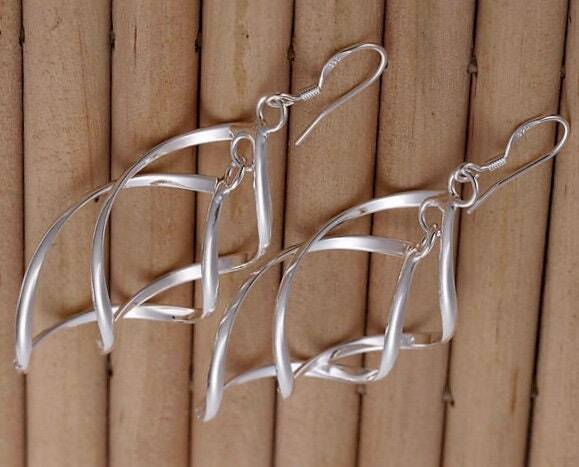 Earring comes with complementary ear wires and backs.